Our Wow Wee Dipping Sauce original flavor is made from a recipe that’s been handed down in our family from generation to generation. The sauce was most often used when the family would get together for a seafood boil. Over time we discovered that it was really good with other foods as well, such as fried or grilled seafood, chicken tenders, chicken nuggets, fries, and onion rings. Try it on burgers, believe me you won’t be disappointed. We also use this sauce to make potato salad. It’s just like the bottle says “THE ALL AROUND EVERDAY DIPPING SAUCE”. 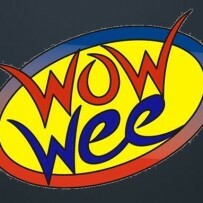 Pick up a bottle today and you’ll be saying “Wow Wee!! That’s some good stuff cher’!! !